Time for the traditional look back on the year, via photos I’ve taken in York. Some were connected with pages that appeared on this site, many of them weren’t included at the time but were taken on various undocumented wanderings. The year started with floods, a continuation of the Boxing Day floods, with the rivers still high. 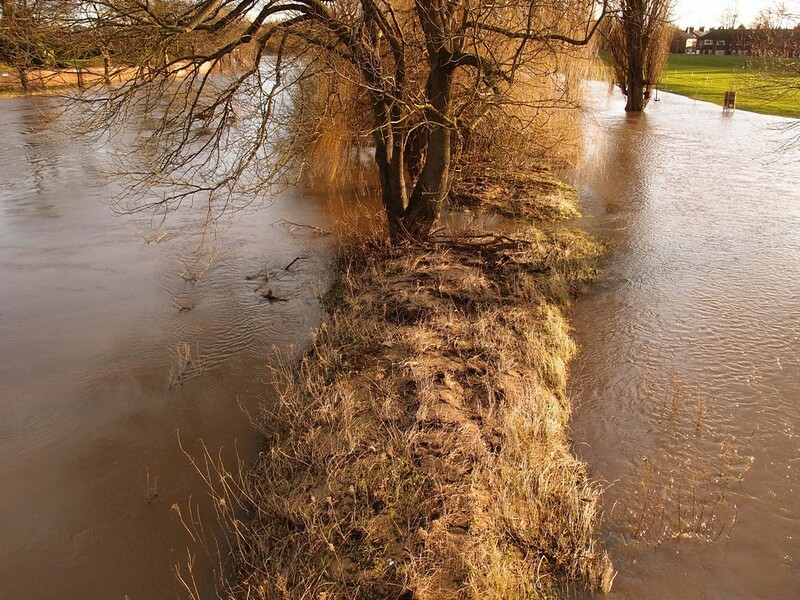 An overflowing Ouse, pictured above, is a common sight. The river is normally on the left of the line of trees. In flood it moves out into the area on the right, as here. The failure of the Foss barrier after our reliance on it for several decades focused our minds on the effects of the huge amount of water passing through our defences, and what happens when they fail. 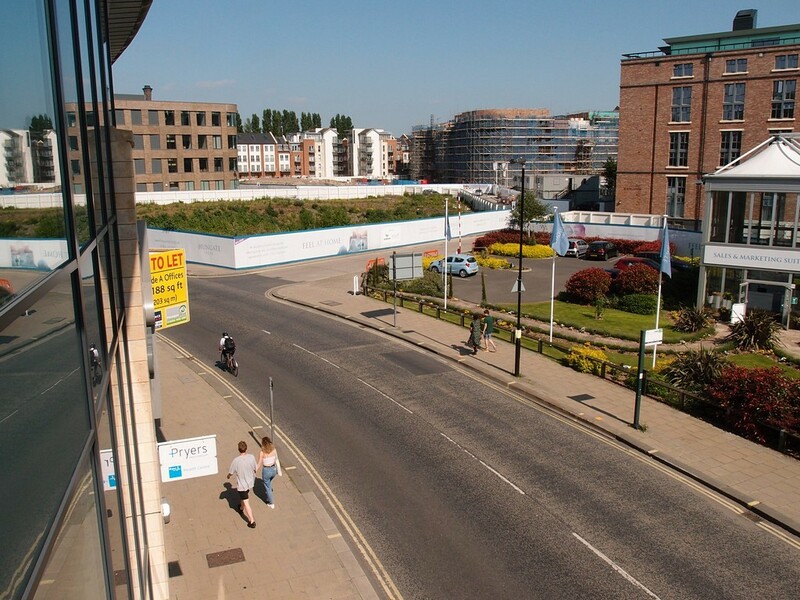 The disastrous failure of the Foss barrier was understandably the focus of attention, but the houses in the Leeman Road area, visible on the right of the photo, didn’t flood. They did back in 1978. We improve things, slowly. 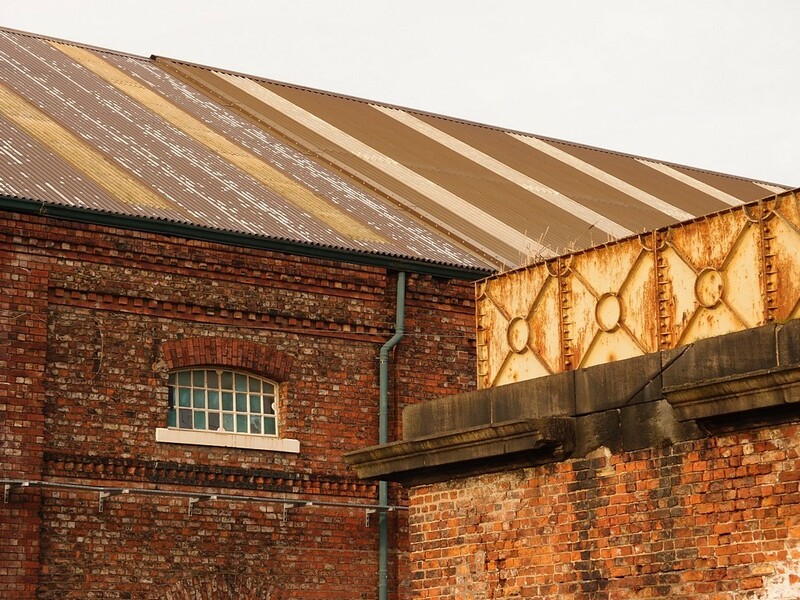 In February, in recognition of the fact that I really should contribute my thoughts to the consultation on the plans for York Central, I wandered around the Railway Institute buildings, and took photos of these remnants of the city’s railway heritage, including this (listed) water tank, to the right of the photo below. 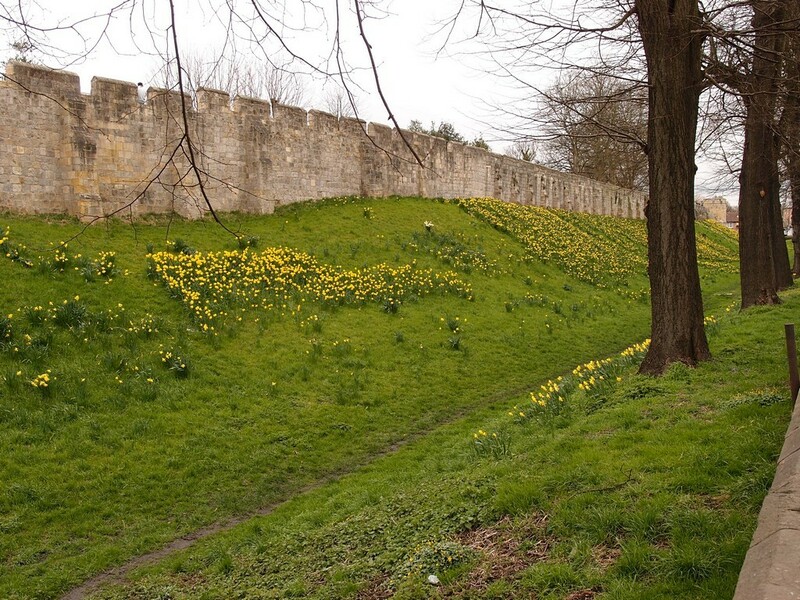 March saw the reappearance of the daffodils around the city walls. Here on my side of town they’re usually a bit later than on the sunnier south-facing slopes. Here on Lord Mayor’s Walk we have a well-used ‘desire line’ through what in later spring is full of cow parsley. At one end of this moat area we’ve seen a tree chopped down for reasons unclear, next to a new house being built on what was the Monk Bar garage site. Both have altered this small and charming green space, but I hope that what remains is treated with respect and that we’re asked about any proposed changes to it. Several times in recent years I’ve heard that there may be plans to ‘enhance’ these areas by the city walls which are seen as ‘underused’. The muddy line through the middle of this one shows that it is well-used, by people who live nearby or people passing through the area who prefer its green calmness to the nearby busy road. 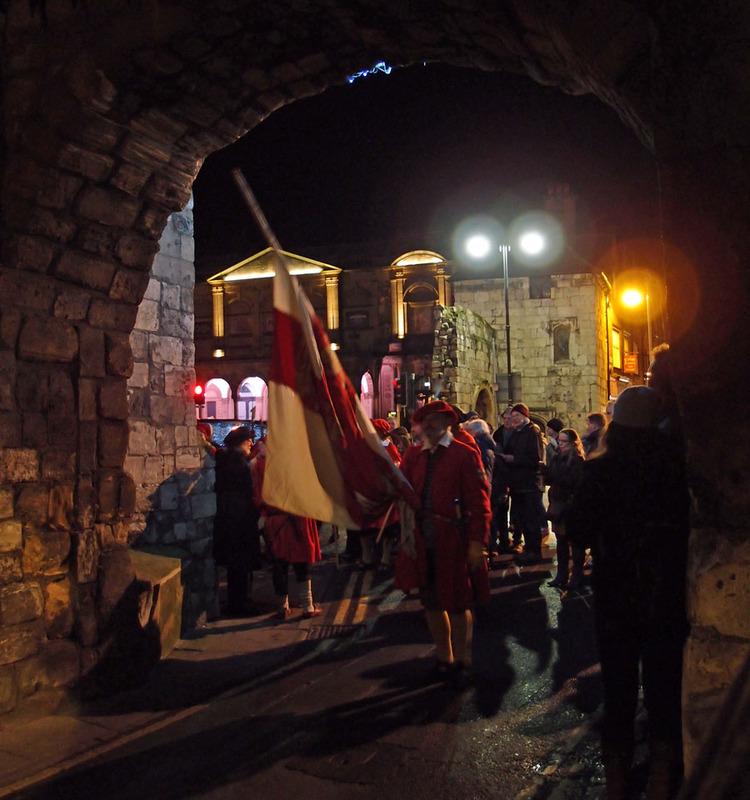 After the reaction to the proposed changes to Clifford’s Tower I hope we will see full and clear consultation on any proposals to change the areas around the city walls. And onto May … green leaves, giddiness, and morris dancing. Hurrah. 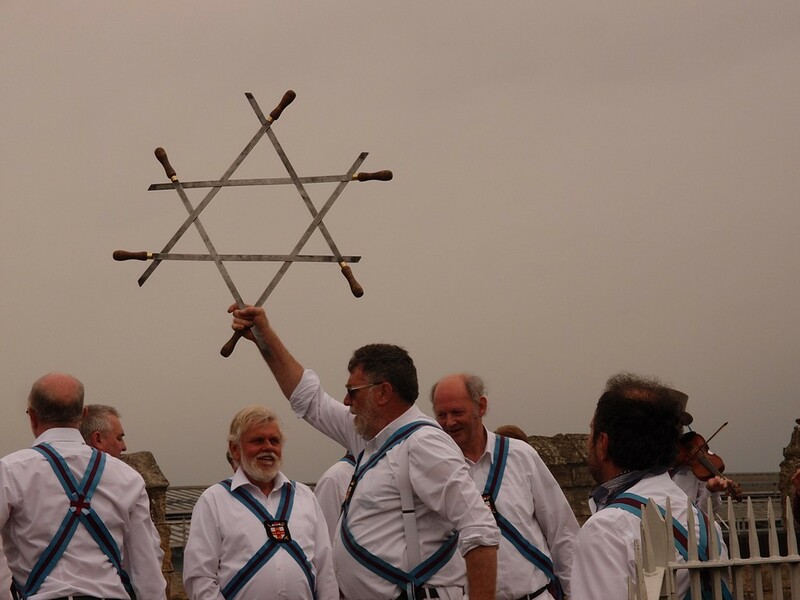 Here’s Ebor Morris on the city walls, on a jolly day of dancing, to welcome the start of May. The Hiscox building on the left with the top of the Foss Islands chimney poking up behind it, the residential build and an in-progress residential build in the centre, and St John Central (student accommodation) to the right. Some greenery here too — an area of carefully landscaped garden around the marketing suite, and a healthy wilderness of buddleia forest in the ’empty’ site in the middle. Moving on to a photo taken in July of ‘York’s most hated building’. I’d taken photos from it in the previous month (see above), but news of its imminent recladding/remodelling made me think I should take a few more photos before the changes. 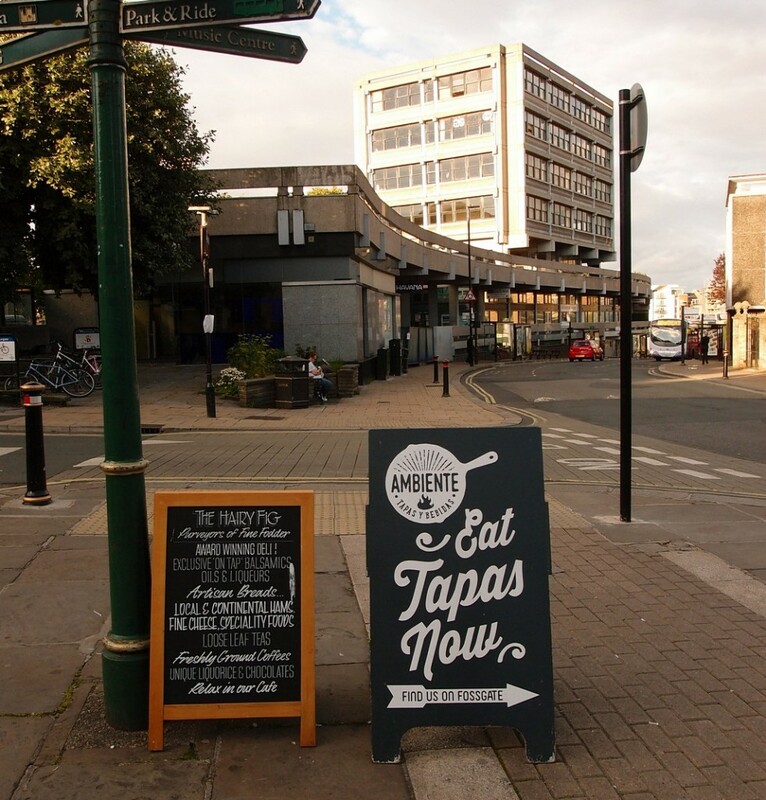 In the foreground, A-boards advertising businesses down Fossgate. In summer the council announced plans to ban them from city centre streets. There was much debate about this and I thought about doing something on the subject here on York Stories, but veered off onto other things and forgot all about it. 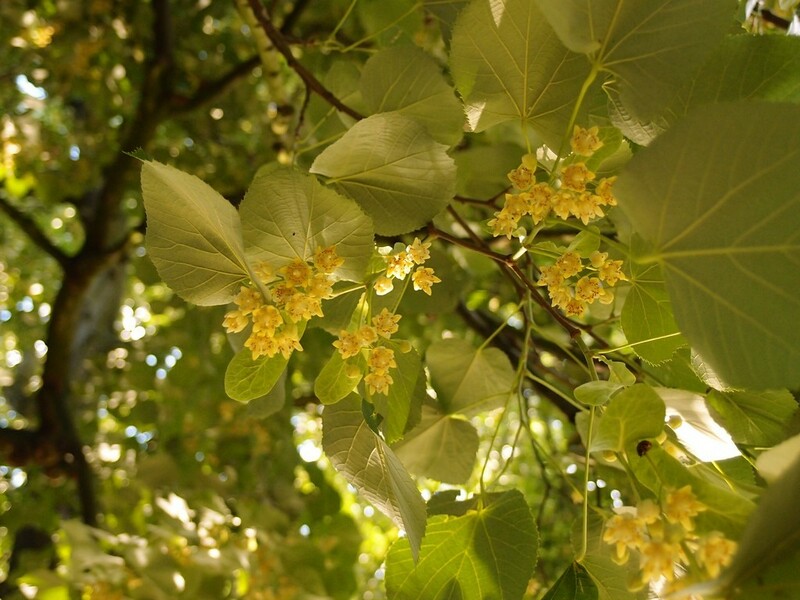 From the urban pavements to greenery in August, a tree providing cool shade and beautiful scent from these clusters of small flowers. On to September, and a view taken from the city walls in the Bishophill area, looking outwards, out of town towards the Southbank area. I felt a very strong ‘sense of place’ looking out over these buildings, towards the Terry’s factory building. 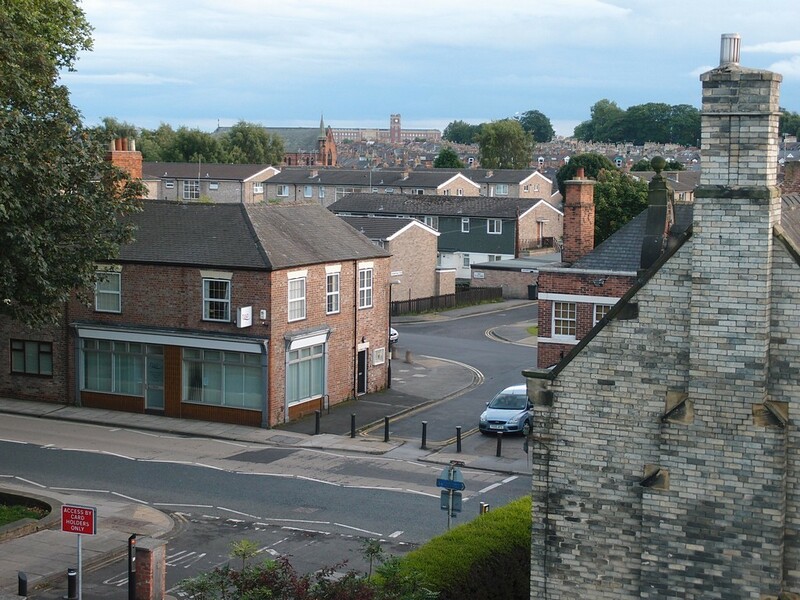 I’ve always tended to think of Terry’s as being quite far out of town, but from this vantage point it looks close, and from here it rises above the roofs of terraced housing and 20th century housing, with a relatively modern red-brick church in there too, and a good number of tall mature trees visible. A very pleasing view, I thought. So narrow and shallow it barely seems to deserve the ‘River’ part of its name. 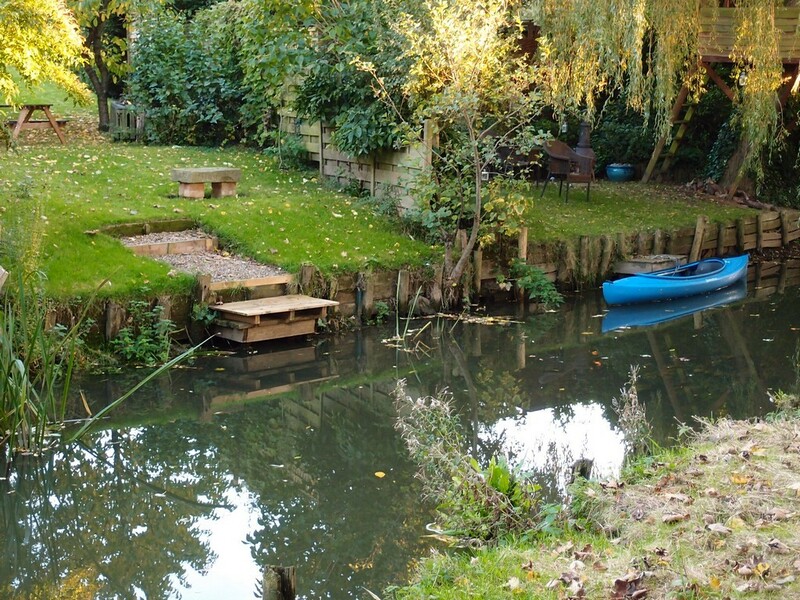 Here the gardens of the houses on Huntington Road show that the residents appreciate their river access, most of the time. 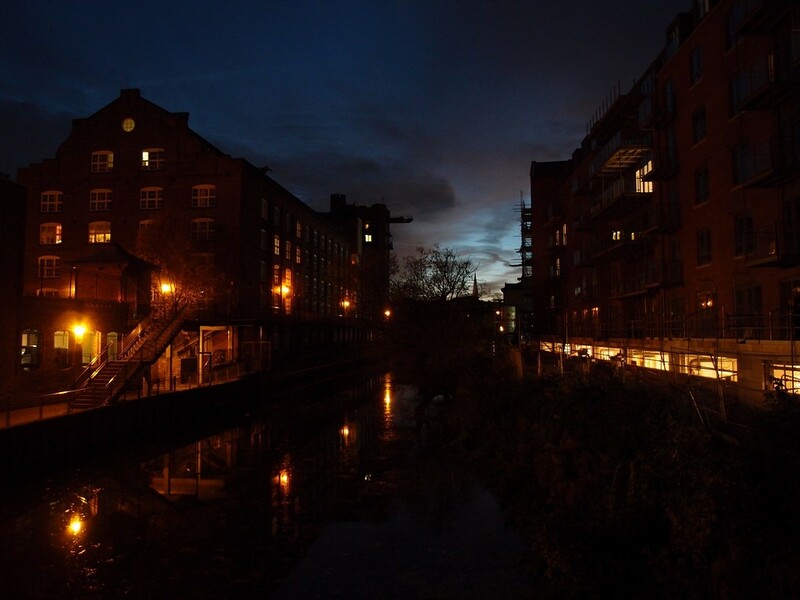 Then the clocks went back, as they do, and the autumn nights were drawing in, and sometimes I found myself wandering at dusk, like on this evening, when I stopped on the new footbridge over the Foss. 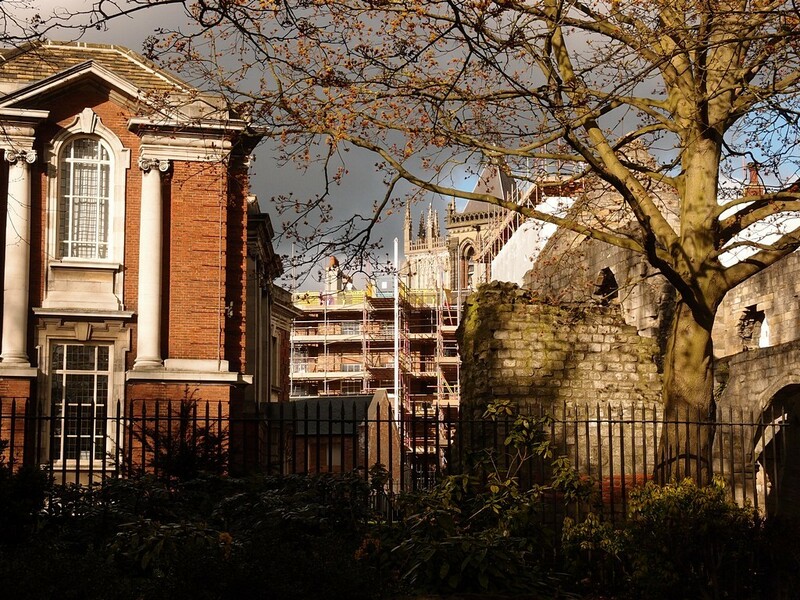 The spire of St Mary’s Castlegate is visible in the distance, behind bare branches, with the setting sun behind. Rowntree Wharf on the left, the new build residential block on the right, and the river below us and stretching ahead, heading for its confluence with the Ouse. Isn’t ‘confluence’ a lovely word, and ‘confluence with the Ouse’ a lovely phrase. Let’s try to remember the good things about living in a city built around these rivers. Pictured above on 21 December, which was the winter solstice, but also apparently St Thomas’s Day, though I didn’t know that until something on social media drew my attention to it, and a happening that was about to happen at the city’s bars. Dashing down Bootham we were in time to witness this fine sight above, and hear the York Waits playing. There’s more on this on a separate page. 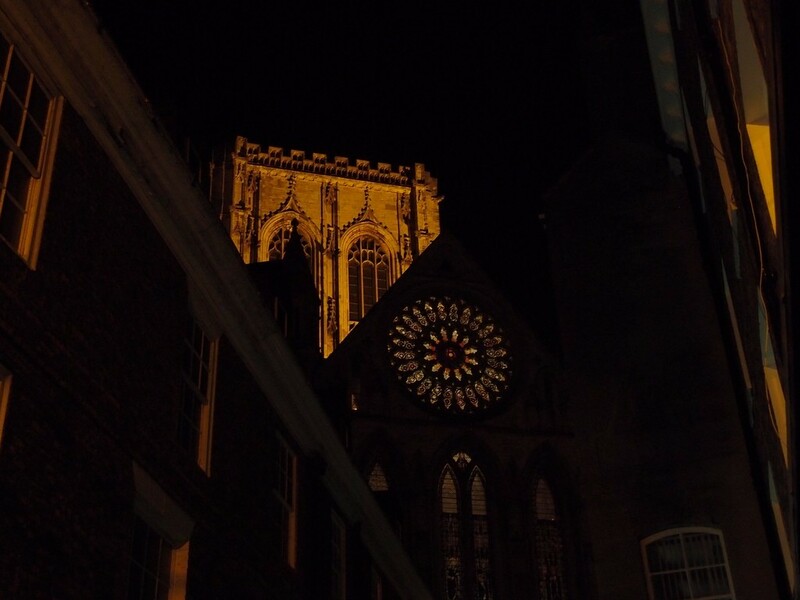 The Minster from Minster Gates, with light from inside illuminating the Rose Window. We reach the end of 2016 with the situation regarding bellringing in the Minster still apparently unresolved. But let’s focus on the beauty of what we can see rather than feeling angry or upset over what we can’t hear, and hope for better things in 2017, darkness lit by light, and sad silence giving way to joyful sounds. Best wishes to you for 2017. To peruse all pages published in 2016, see yorkstories.co.uk/archives. By Lisa @YorkStories • 29 December 2016 Miscellany To link to this page's proper location please use the > permalink. I for one appreciate all the hard work you put in over the course of a year to bring us your musings and jottings for this wonderful site. Without this site many of us would not be aware of all the goings on behind the scenes in this wonderful City. Thank you Drake, I know you’ve been reading these pages for a long time, many years. And I’m aware that the content has changed a bit, shifted focus more to things happening now in the city, which might not be to everyone’s liking. So it’s nice to know that it’s still of interest. Regarding support of the site, I am considering how best to manage things in the future in that respect, and if there are other options that would work, and I’ll let you know.